Our most popular family layout is now available in the Buccaneer range! 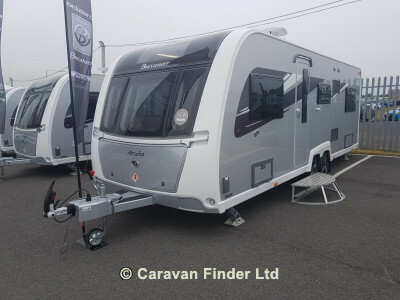 The all-new Buccaneer Aruba boasts all of the range's opulent specification, creating a 6-berth family caravan par excellence! This clever layout has a large lounge, converting to a supersize double up-front, a wraparound dinette amidships - creating a further double - plus a fixed French-style double bed at rear.